MasterCard Worldwide (NYSE: MA) is an American multinational corporation with its headquarters in the MasterCard International Global Headquarters in Purchase, New York. Throughout the world, its principal business is to process payments between the banks of merchants and the card issuing banks or credit unions of the purchasers who use the "MasterCard" brand debit and credit cards to make purchases. MasterCard Worldwide has been a publicly traded company since 2006. Prior to its initial public offering, MasterCard Worldwide was a membership organization owned by the 25,000+ financial institutions that issue its card. MasterCard, originally known as MasterCharge, was created by several California banks as a competitor to the BankAmericard issued by Bank of America, which later became the Visa credit card issued by Visa Inc. The original banks behind MasterCharge were United California Bank (later First Interstate Bank and subsequently merged into Wells Fargo Bank), Wells Fargo, Crocker National Bank (also subsequently merged into Wells Fargo), and the Bank of California (subsequently merged into the Union Bank of California). The 1970s Master Charge card. First MasterCard logo used from 1979-90. MasterCard logo used on cards 1996 to present. In 1966 the aforementioned group of California banks formed the Interbank Card Association (ICA). With the help of New York's Marine Midland Bank, now HSBC Bank USA, these banks joined with the ICA to create "Master Charge: The Interbank Card". The card was given a significant boost in 1969, when First National City Bank joined, merging its proprietary Everything Card with Master Charge. In 1979, "Master Charge: The Interbank Card" was renamed simply "MasterCard". In the early 1990s MasterCard bought the British Access card and the Access name was dropped. In 2002, MasterCard International merged with Europay International SA, another large credit-card issuer association, which for many years issued cards under the name Eurocard. In 2006, MasterCard International underwent another name change to MasterCard Worldwide. This was done in order to suggest a more global scale of operations. In addition, the company introduced a new corporate logo adding a third circle to the two that had been used in the past (the familiar card logo, resembling a Venn diagram, remains unchanged). A new corporate tagline was introduced at the same time: "The Heart of Commerce". The company, which had been organized as a cooperative of banks, had an initial public offering on May 25, 2006 at $39.00 USD. The stock is traded on the NYSE under the symbol MA. Both MasterCard and Visa have paid approximately $3 billion in damages resulting from a class-action lawsuit filed by Hagens Berman in January 1996. The litigation cites several retail giants as plaintiffs, including Wal-Mart, Sears Roebuck & Company, and Safeway. The European Union has repeatedly expressed concern over the dominance of Mastercard. In April 2009, Mastercard reached a settlement with the European Union in an antitrust case, promising to reduce debit card payments to 0.2 percent of a purchase. In December 2010, a senior official from the European Central Bank called for a break-up of the Visa/Mastercard duopoly by creation of a new European debit card for use in the Single Euro Payments Area (SEPA). After Mastercard's blocking of payments to WikiLeaks, members of European Parliament expressed concern that payments from European citizens to a European corporation could apparently be blocked by America, and called for a further reduction in the dominance of Visa and Mastercard in the European payment system. In December 2010, MasterCard blocked all payments to WikiLeaks due to claims that they engage in illegal activity. In a response a group of online activists calling themselves "Anonymous" organised a denial-of-service attack, as a result the MasterCard website experienced downtime on December 8–9, 2010. Wikileaks spokesman said: “We neither condemn nor applaud these attacks." U.N. High Commissioner for Human Rights, Navi Pillay said that closing down credit lines for donations to WikiLeaks "could be interpreted as an attempt to censor the publication of information, thus potentially violating WikiLeaks' right to freedom of expression". The company that enables Wikileaks to accept credit and debit card donations says it will take legal action against Visa Europe and Mastercard. IT firm Datacell said it would move immediately to try to force the two companies to resume allowing payments to the anti-secrecy website. Iceland-based Datacell had earlier said that suspension of payments towards Wikileaks is a violation of the agreements with their customers. Visa Europe and Mastercard have yet to comment on the legal threat. In view of MasterCard's stand on WikiLeaks crisis, MasterCard has been mocked widely across the internet as users lampooned its distinctive advertising slogans: "Freedom of speech: priceless. For everything else, there's MasterCard". MasterCard's current advertising campaign tagline is "Priceless". The slogan associated with the campaign is "There are some things money can't buy. For everything else, there's MasterCard." The Priceless campaign in more recent iterations has been applicable to both MasterCard's credit card and debit card products. They also use the 'Priceless' description to promote products such as their "priceless travel" site which features deals and offers for MasterCard holders. The first of these Priceless ads was run during the World Series in 1997 and there are numerous different TV, radio and print ads. It was idealized by Stewart Emery. MasterCard registered Priceless as a trademark. Actor Billy Crudup has been the voice in the US market; in the UK, actor Jack Davenport is the voice. The purpose of the campaign is to position MasterCard as a friendly credit card company with a sense of humor, as well as respond to the public's worry that everything is being commodified and that people are becoming too materialistic. Many parodies have been made using this same pattern, especially on Comedy Central, though MasterCard has threatened legal action, contending that MasterCard views such parodies as a violation of its rights under the federal and state trademark and unfair competition laws, under the federal and state anti-dilution laws, and under the Copyright Act. Despite these claims, however, noted US consumer advocate and presidential candidate Ralph Nader emerged victorious (after a four-year battle) in the suit MasterCard brought against him after he produced his own "Priceless" political commercials. Through a new partnership with an Internet company that specializes in personalized shopping, MasterCard introduced a Web shopping mall on April 16, 2010 that it says can pinpoint with considerable accuracy what its cardholders are likely to purchase. The MasterCard MarketPlace site relies on technology developed by Next Jump, a company that monitors customer behavior from thousands of retailers and uses the data it gathers to help merchants tailor their product offerings. Mastercard engages in the sponorship of major sporting events thoughout the world. These include the New Zealand All Blacks the country's rugby team, the UEFA Champions League, the PGA Tour's Arnold Palmer Invitational Presented by Mastercard, the Canadian Hockey League's Memorial Cup and recently announced a new sponsorship deal with Australian Cricket team and is also the founding sponsor of IPL cricket team Mumbai Indians. Previously it also sponsored FIFA World Cup but withdrew its contract after a court settlement and its rival Visa took up the contract in 2007. and in 1997, MasterCard was the main sponsor of the aborted MasterCard Lola Formula One team. On October 12, 2007 MasterCard offered $160,000 to the municipal government of Toronto so that the city could keep its ice rinks open, as the city was facing a budget shortfall. MasterCard has its headquarters in the MasterCard International Global Headquarters in Purchase, New York. MasterMoney is the branding of a MasterCard debit card distributed in North America. Like many debit cards, the brand has capabilities of being used as an ATM card as well as a credit card, providing sufficient funds are in one's bank account (usually a checking account) in order to complete a transaction. 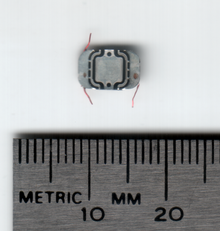 PayPass RFID chip from a MasterCard. A Citizens Bank debit card with MasterCard PayPass before their late 2009 switch to Visa-branded cards. MasterCard PayPass is an EMV compatible, "contactless" payment feature based on the ISO/IEC 14443 standard that provides cardholders with a simpler way to pay by tapping a payment card or other payment device, such as a phone or key fob, on a point-of-sale terminal reader rather than swiping or inserting a card. In 2003, MasterCard concluded a nine-month PayPass market trial in Orlando, Florida, with JPMorgan Chase, Citibank, and MBNA. More than 16,000 cardholders and more than 60 retailer locations participated in the market trial. In addition, MasterCard worked with Nokia, AT&T Wireless, and JPMorgan Chase to incorporate MasterCard PayPass into mobile phones using Near Field Communication technology, in Dallas, Texas. A U.S. issued HSBC Debit MasterCard with PayPass can be used in the U.K.
MasterCard operates Banknet, a global telecommunications network linking all MasterCard card issuers, acquirers and data processing centers into a single financial network. The operations hub is located in St. Louis, Missouri. Banknet uses the ISO 8583 protocol. MasterCard's network is significantly different from Visa's. Visa's is a star based system where all endpoints terminate at one of several main data centers, where all transactions are processed centrally. MasterCard's network is an edge based, peer-to-peer network where transactions travel a meshed network directly to other endpoints, without the need to travel to a single point. This allows MasterCard's network to be much more resilient, in that a single failure cannot isolate a large number of endpoints. MasterCard Europe operated a Network known as EPS-Net - this interfaced Banknet but it was decommissioned in January 2010. EPS-Net is used to link Issuers and Acquirers for Online POS/ATM Transaction Processing. On December 9, 2010 the servers of Mastercard underwent a massive attack as part of a Operation Avenge Assange for closing down payments of whistleblowing platform Wikileaks. According to several news sites, security of thousands of credit-cards was compromised during that attack due to a phising-site set up by the attackers; however, Mastercard denied this, stating that "cardholder account data has not been placed at risk". ^ a b c d e f g "2010 Form 10-K, MasterCard Incorporated". United States Securities and Exchange Commission. http://www.sec.gov/Archives/edgar/data/1141391/000119312511044721/d10k.htm. ^ Jay Loomis (2006-06-28). "MasterCard changing name". The Journal News. http://www.lohud.com/apps/pbcs.dll/article?AID=/20060628/BUSINESS01/606280347&SearchID=73249164236337. ^ Addley, Esther (December 8, 2010). "MasterCard site partially frozen by hackers in WikiLeaks 'revenge'". The Guardian (London). http://www.guardian.co.uk/media/2010/dec/08/mastercard-hackers-wikileaks-revenge. ^ Threats of legal action: MasterCard International (April 9, 2001). "Re: MasterCard/Infringement by Netfunny.com web site". http://www.chillingeffects.org/trademark/notice.cgi?NoticeID=17. Retrieved 2006-07-30. ^ George B. Daniels, District Judge (March 9, 2004). "Decision of the US District Court in the case of MasterCard International Incorporated v. Ralph Nader" (PDF). US District Court, Southern District of New York. http://lawgeek.typepad.com/lawgeek/LegalDocs/nader_decision.pdf. Retrieved 2006-07-30. ^ Martin, Andrew (April 8, 2010). "MasterCard Set to Open an Online Shopping Mall". The New York Times. http://www.nytimes.com/2010/04/09/business/09credit.html. ^ "Mastercard is founding sponsor of Mumbai Indians". IndianTelevision.com. http://www.indiantelevision.com/mam/headlines/y2k8/apr/aprmam61.php. Retrieved 2008-04-27. ^ "Contact Us." MasterCard. Retrieved on February 2, 2011. "MasterCard Advisors 2000 Purchase Street Purchase, NY 10577." ^ "BMO Adds ‘Tap & Go’ Convenience to Mosaik MasterCard". http://www2.bmo.com/bmo/files/news%20release/4/1/Nov107_paypassEN.html. Retrieved 2007-12-08. ^ "Canadian Tire Financial Services - Options MasterCard - PayPass". Archived from the original on 2008-04-14. http://web.archive.org/web/20080414225355/http://www.ctfs.com/english/optionsmastercard/paypass/PayPass.html. Retrieved 2008-05-07. ^ "Tap & Go with Capital One Canada". http://paypass.capitalone.ca/. Retrieved 2008-05-07. ^ "Postepay PosteMobile" (in Italian). http://www.poste.it/bancoposta/cartedipagamento/postepay_postemobile/index.shtml. Retrieved 2009-12-14. This page was last modified on 5 May 2011 at 09:56.